Why Buy a Europe River Cruise from Us? There are about 75.000 to 100,000 professional travel agents in business in the United States. There are also the giants of the internet (Travelocity, Expedia, etc.) and wholesalers (Costco). You can also buy direct from many travel vendors. To be sure, you the consumer, have a lot of choices and ways to buy travel. With the plethora of options, it got me to thinking—Why should you buy a river cruise or for that manner, any travel from us?—from Anne & Hank Schrader, of Visit Dream Destinations, LLC! I will begin by answering this question by explaining what the Europe River Cruise Trends are and then talk about sellers of travel (travel agents and others). For sellers of travel, my game plan here is to define our competition first, and then tell you who we are, what we stand for and who are customers are. Finally, I will explain why you should buy a river cruise from us. Europe had 346 active river cruise vessels (with 50,616 beds), and it is the largest river cruise fleet in the world. In 2017, 17 new river cruise vessels were added in European waters. The takeaway—there are plenty of opportunities for us to sell river cruises—there is sufficient availability for you to go on a river cruise in Europe, especially if you book 9 months or so before the desired trip (a pro tip—book early as some best cabins and sailing dates go quickly—we know these crucial facts about the most likely to go early—folks who wait too late sometimes miss out). Only 17.5% of travel agents sell river cruises regularly. Most agents report only 10% of their sales come from river cruises (Source Cruise Line International Association). River cruises comprise 59%-70% or more of our yearly sales, so we have a solid track record compared to our competition. Since we sell more than others, we have the experience to get you the right Europe River Cruise. Folks would not book with us if we could not consistently deliver high quality trips. We want to become the trusted travel advisors of choice for discerning travelers who want a good value for their travel budgets. Our mission is to provide the highest quality, expertly planned European River Cruise Vacations for groups and individuals. Anne & Hank enjoy a sundowner party on their Scenic Opal voyage—one of the joys of river cruising is the included value events like this great celebration—let us help you go soon! Our identity is that we are experienced, certified professionals, with exceptional first-hand knowledge of Europe River Cruising and our company stands for high quality vacations, integrity in all our dealings, with a friendly, down to earth approach to travel that results in awesome vacation experiences—we are Europe River Cruise Experts! Who are our River Cruise Customers? Of our 62 top clients, 95% match our ideal client. When you read this, does this match who you are—it is our guess it does! Why do we sell Europe River Cruises? A great seafood buffet on the Scenic Opal—best I’ve ever had! From our client feedback, all of these motivators and perceptions echo our client’s experiences. 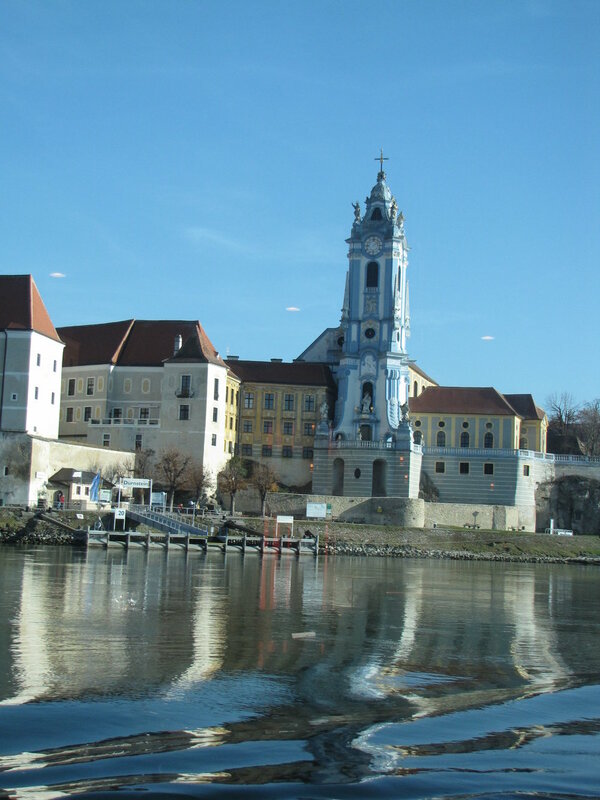 Most of our river cruise clients have taken at least 2 or more river cruises, booked by us. Does this match your perception of a Europe river cruise? —we hope so! What are the Benefits to buying a Europe river cruise from us? Another competitive advantage is our first-hand knowledge of Europe river cruising—we have taken 16 Europe river cruises and are about to take our 17th (that’s over 4 months of Europe river cruise adventures). With our industry connections, we can get you perks not available to all. For example, we have purchased promotional discounts on AmaWaterways (future cruise credits) that can reduce prices by 5%. Our Europe Destination Guides, that cover the top 50 cities in Europe, are unique and a valuable resource to ensure our clients do not miss the top sights and experiences. These 2-4 page guides (using a standard 8.5 x 11 inch sheet of paper) are packed with information and can be easily folded to carry in your pocket—no huge guide book to carry. In short, we are more experienced, more knowledgeable and more competent than almost all other travel agents selling river cruises. We can provide you perks and anticipate your needs. We are Europe River Cruise Experts. Our Customer Service—what can you expect when you use our services? We will follow up 100% on our promises—we will return calls & emails as promised. We will send a hand-written note to each person who books with us before and after the trip. We will be in contact during the whole process before, and during the trip to resolve any problems or questions that arise during the planning and booking process, or during the trip. We will contact each customer after each trip for feedback and follow up on these results. We will offer special group amenities to increase the value of our group travel. We will make the whole process fun and hassle free. Europe River Cruising is a wonderful vacation but it is often sold by agents who just do not know enough about the product to make a good vacation an exceptional one that exceeds your expectations. We are the experts and use our expertise to help you have the best possible experience. We know the river port destinations without the need to look them up in a brochure or guide—we have been there, and seen them first-hand. Perhaps this knowledge, coupled with want you desire to see and experience, is the key—our recommendations will help you have an exceptional travel experience. As you can see, making wise river cruise travel choices, is more complex than you may have thought. Trip planning is not easy. Making sound decisions are critical to the travel planning process. Time and money issues are complex—we all want the best at the least possible price. We help you solve those complex issues, saving you hassles, time and worry. We are travel experts, ocean and river cruise experts, and Europe destination experts. We have first-hand knowledge of almost anywhere you want to visit in Europe. We know our products and the vendors who sell them to you. We have designed special tours for dozens of clients, led several and will continue to find just the right vacation that will exceed your expectations. When you are spending your hard-earned money for a vacation, you want an advisor who can match you with the right trip. You want someone who will understand your expectations and fuel your anticipation (or excitement) to get you the best possible trip experience. And, you want someone who can help you with the decision making process. We think we have all these qualities. Whatever your Dream Destinations are, we are here to help you get the best possible vacation based on what is important to you! We will provide you high quality, expertly planned travel. Please give me a call 713-397-0188 (Hank) or email me at hschrader@dreamdestinations.com. We want to help you: Savor life…make memories…Visit Dream Destinations! Your journey begins here!